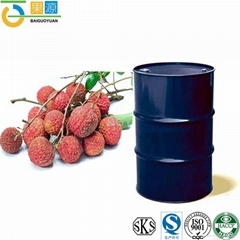 Baiguoyuan Juice Co., Ltd has many years’ experience in producing fruit/vegetable juice concentrate, fruit puree and other products with good quality. Plus, the quality of its products has reached the domestic and international first-class level. In order to enlarge business trades and satisfy the clients’ demand, our company invested loads of money in 2004 to build a new, modern factory covering an area of 8000m2 at Pingtouling Industry Zone, Beihai City. Importantly, Our Company is one of the key enterprises in Guangxi agricultural industry. Of course, she is not only listed as an important helping-poor enterprise in Guangxi, but an industrial and technological enterprise as well. As the company is situated at Hepu industrial development zone, where has the 209 state-highway running from Beihai to Hepu, she has a beautiful environment and convenient transportation. Besides, the newly-built factory has become a significant base for processing the tropic fruit. In the early of 2005, our company has passed the inspection of the HACCP control management system and got ISO9001: 2000 food security quality management system cards. Now, our company possesses the right to do the export and import business. 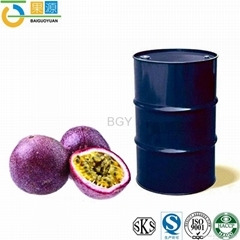 Our products Main products of our company are fruit/vegetable juice concentrate and fruit puree of pineapple, mango, guava, papaya, pumpkin, sugar cane, passion fruit, lychee, cucumber, greengage, banana, lemon, mandarin, orange, ginger, bitter gourd, Chinese date and medlar, hawthorn etc. 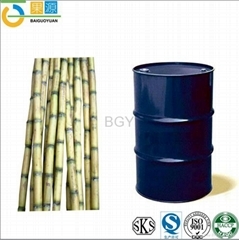 [packing: 18kg-270kg/drum (barrel)]. 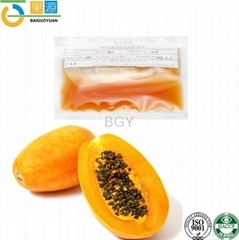 New high-tech products include: high active chymopapain (More than 2 million units for medical injection ), papaya freeze dried powder, Bitter gourd freeze dried powder（medical plant insulin), natural cinnamon antioxidant. Moreover, we are able to make various fruit juice and puree in accordance with customers’ need.